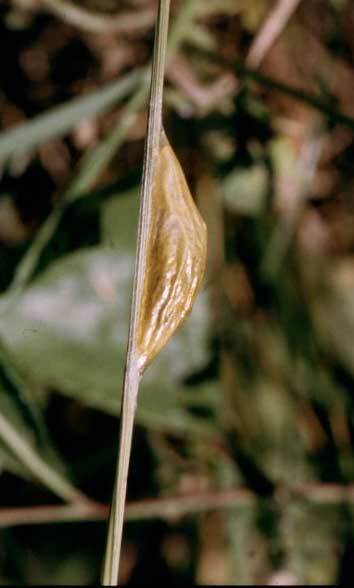 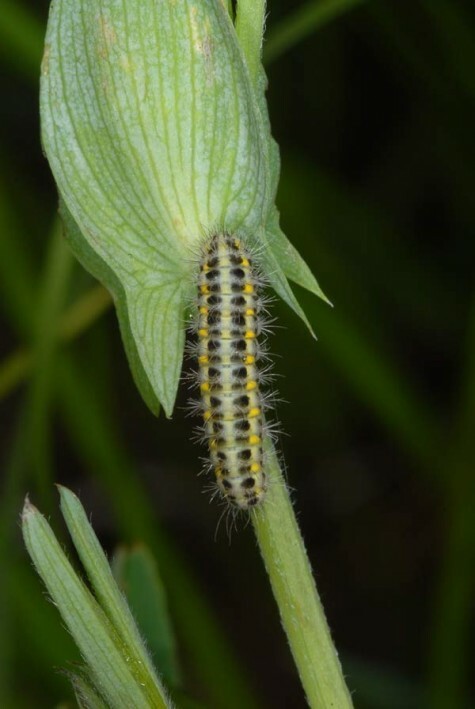 The larva consumes diverse Fabaceae like Lotus species, Trifolium, Onobrychis, Vicia and Lathyrus. 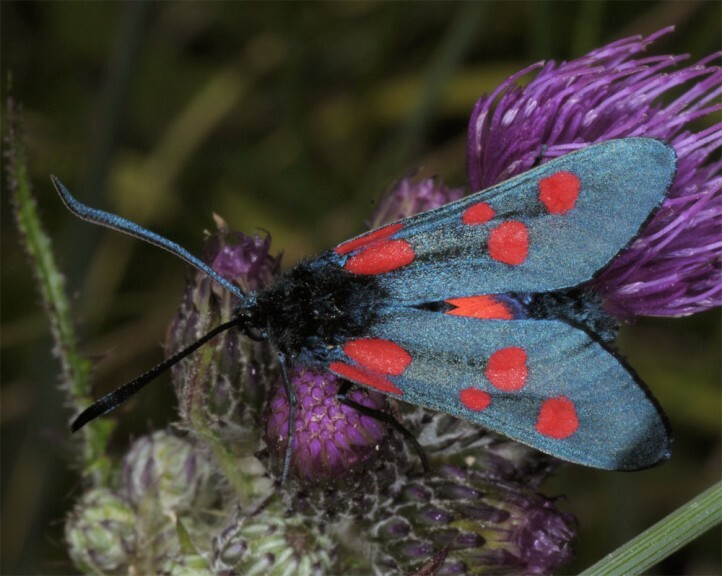 Zygaena lonicerae colonizes edges in calcareous grasslands and more open places in bright forests. 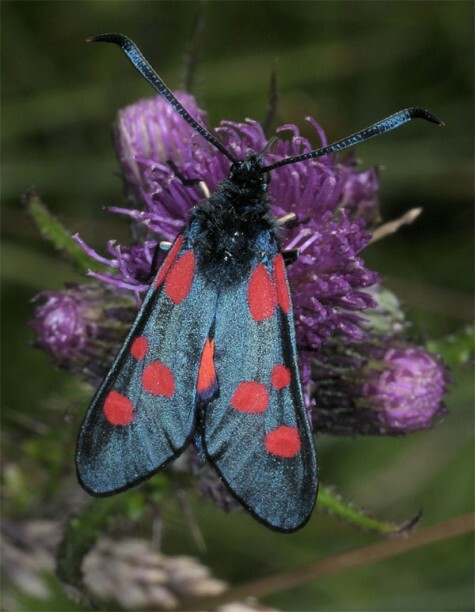 While Zygaena lonicerae only occurs singly in grazed calcareous grasslands (juniper heath), it can also be quite abundant in favourable habitats such as coppice woodlands or perialpine Erica-Pinus forests. 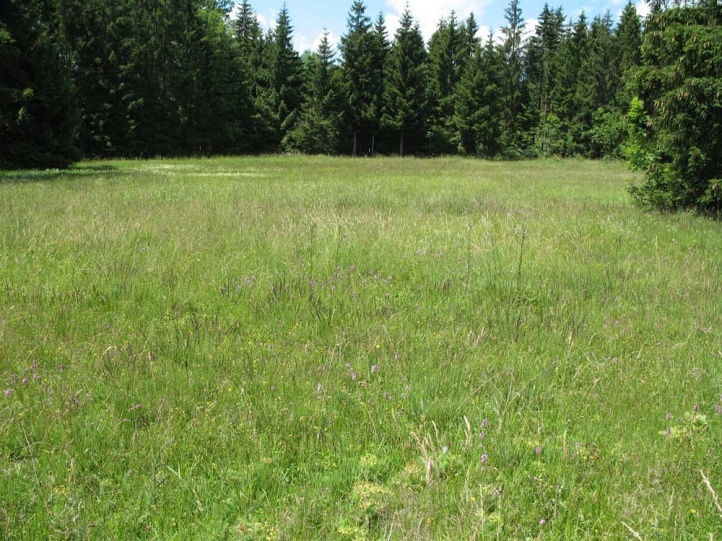 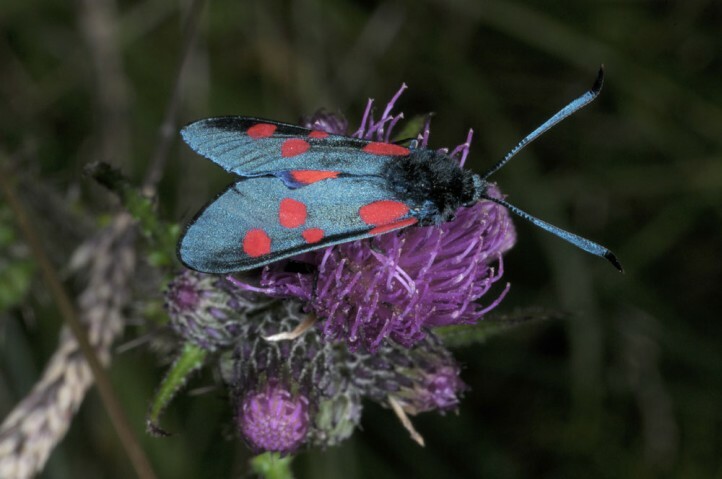 In the higher elevations of the Alps Zygaena lonicerae can be observed in forest fringes and sometimes also in open, extensively cultivated meadows. 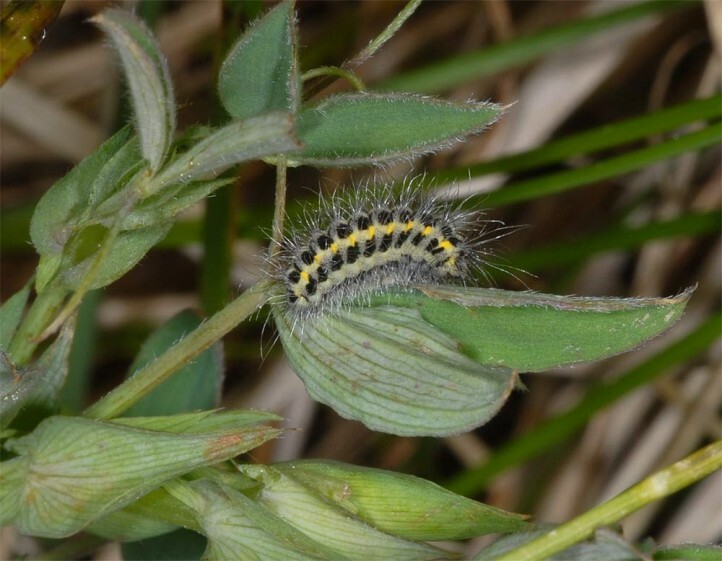 More rarely Zygaena lonicerae also settles in wet meadows (observations on the eastern Swabian Alb in Southern Germany) where it can be confused with Zygaena trifolii. 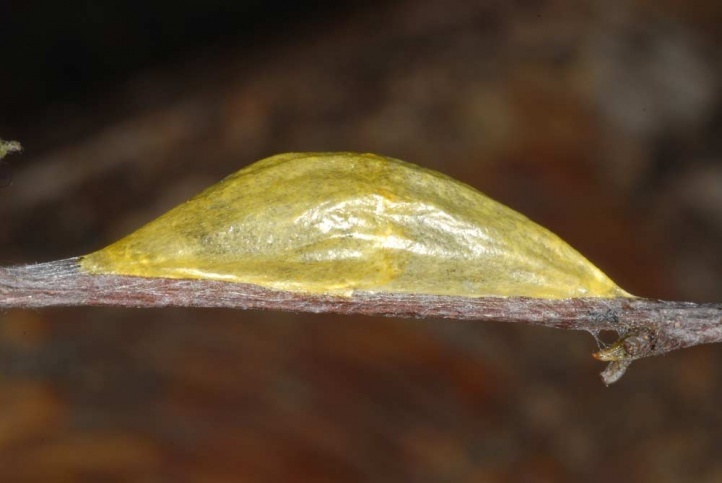 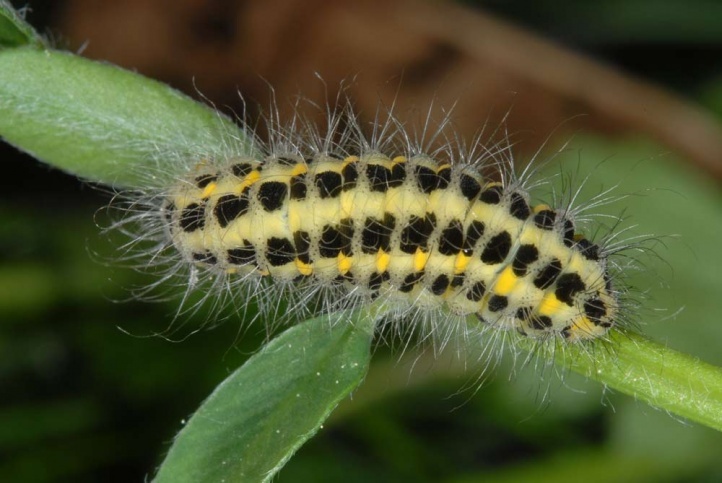 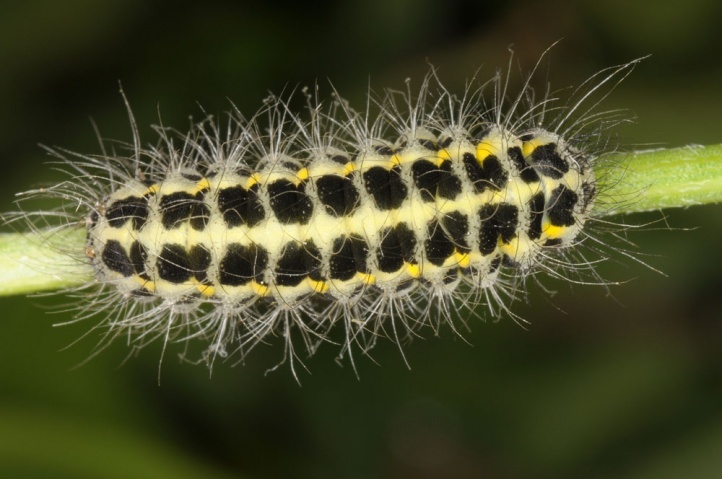 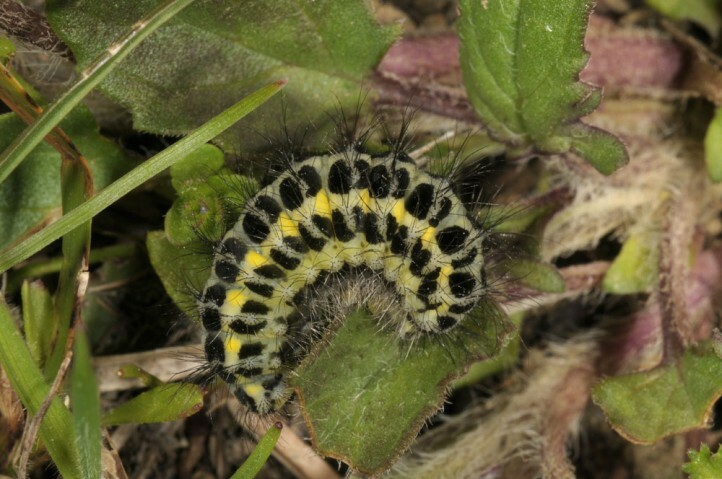 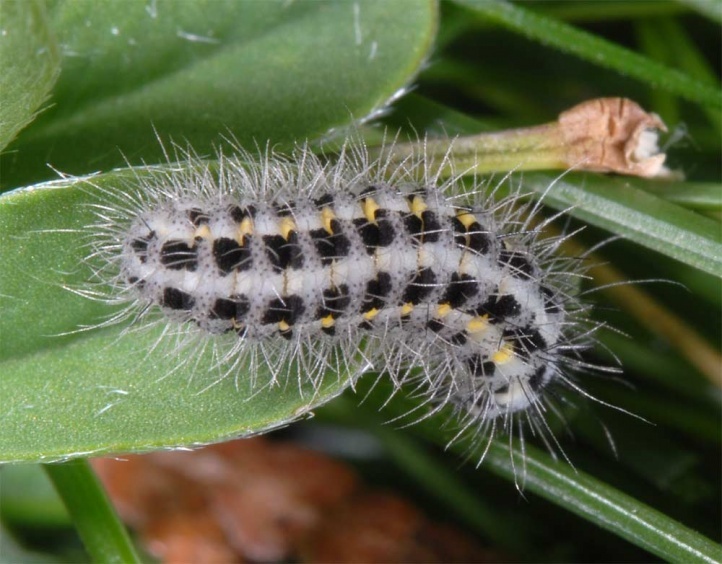 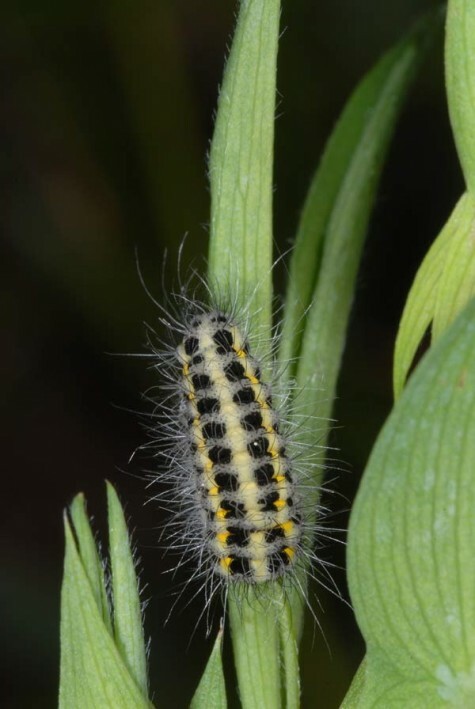 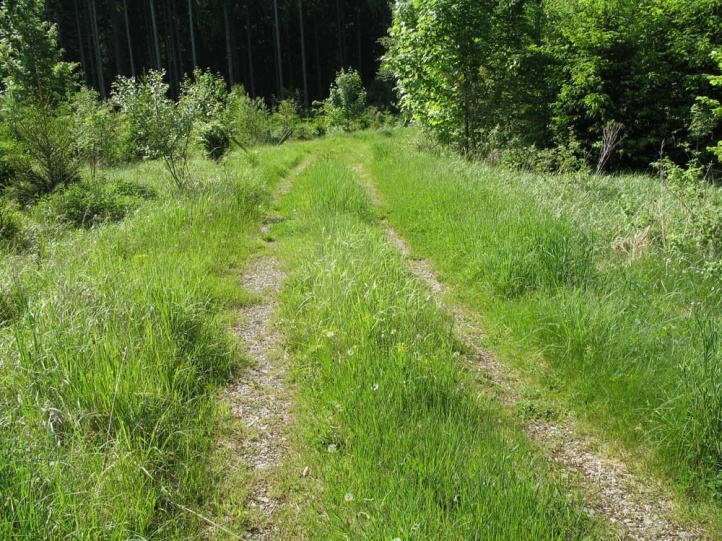 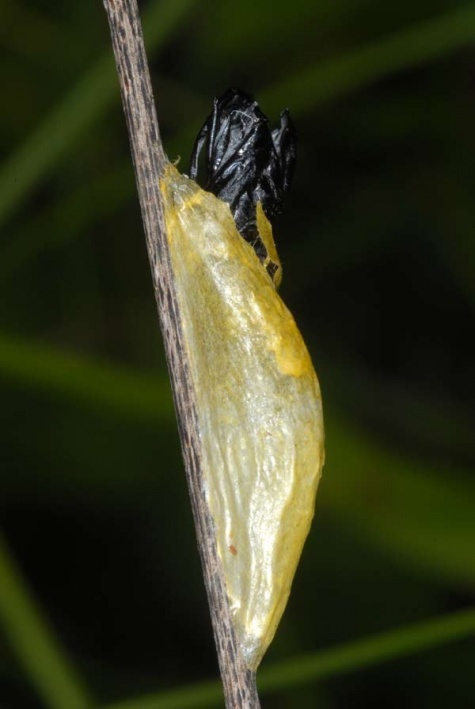 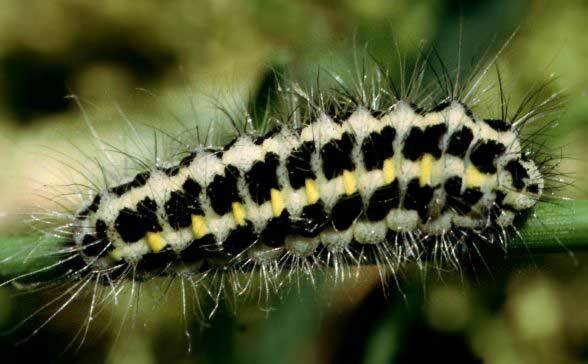 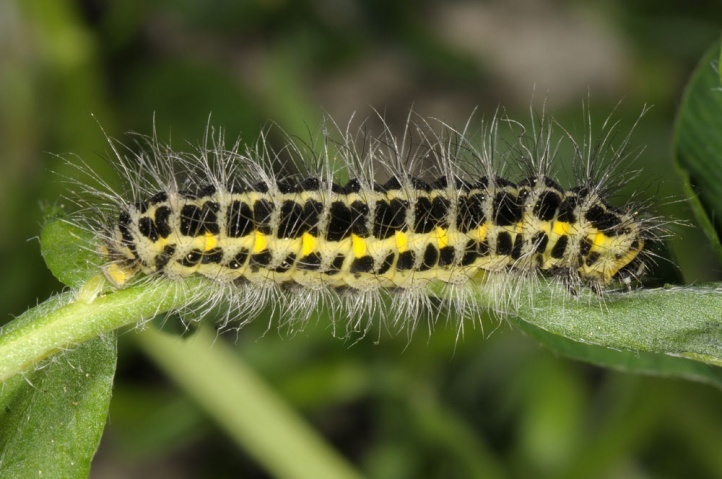 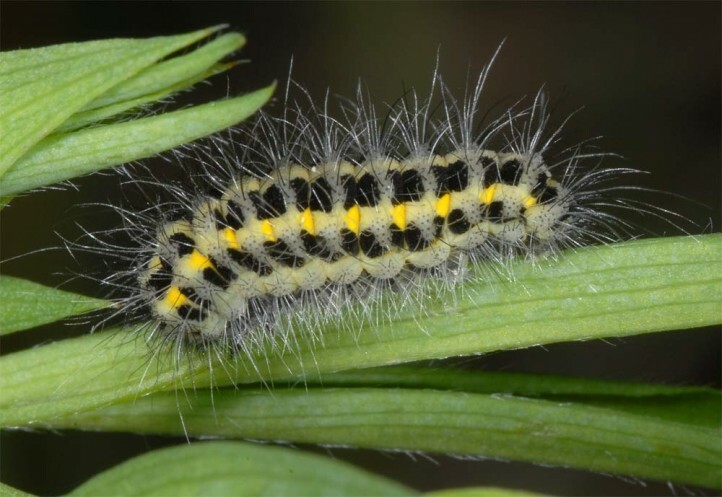 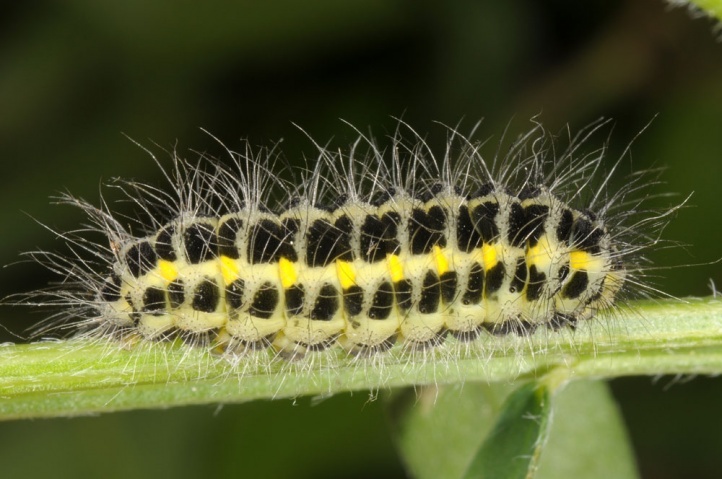 The caterpillar overwinters at least once and is mature in June. 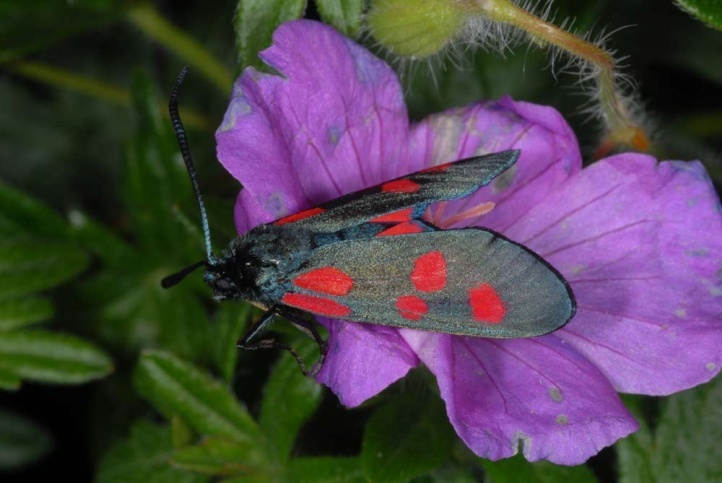 The moths fly from late June to August. 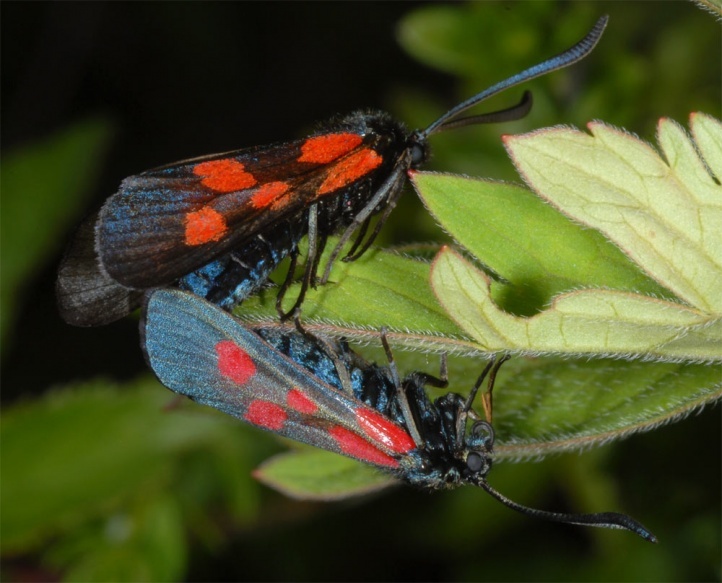 In the lowlands Zygaena lonicerae is endangered by the decline of edge structures in and around woodlands (dense afforestation, very narrow borders to intensely used meadows and fields) and the loss of suitable shrub-rich grasslands. 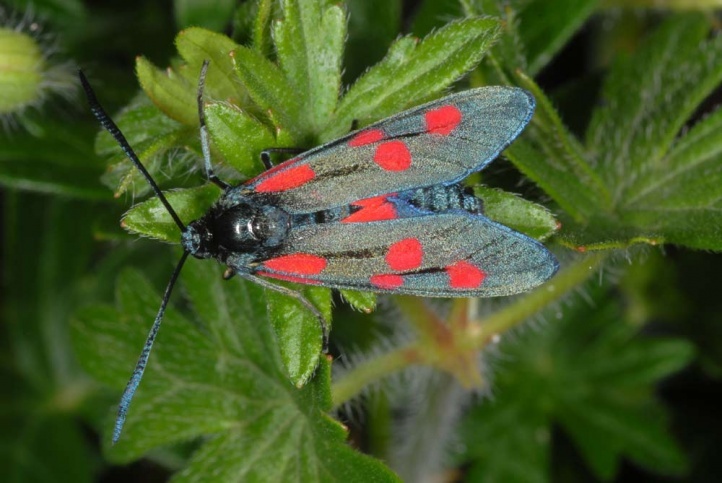 In the mountains (especially the Alps) Zygaena lonicerae is largely not endangered. 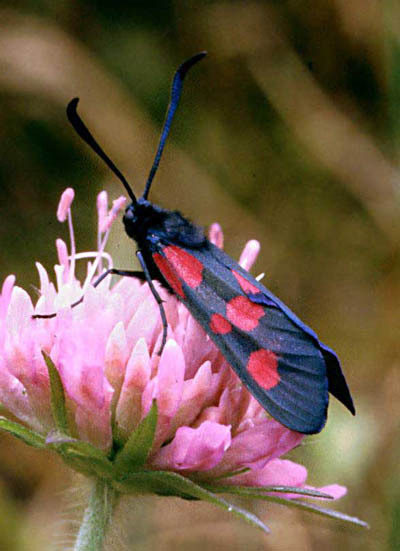 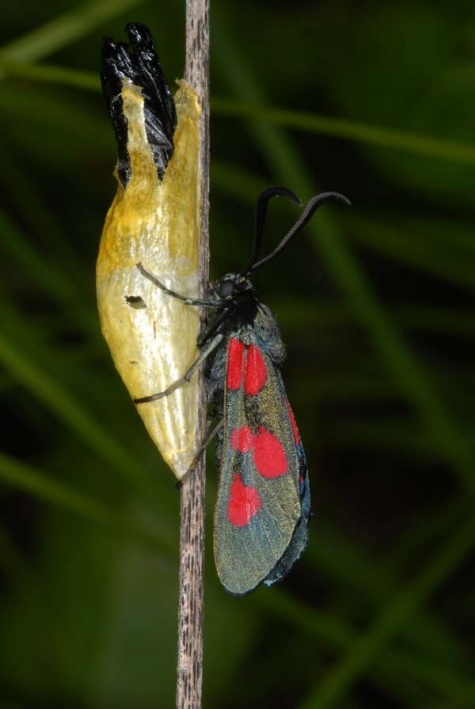 The moth is very similar to Zygaena trifolii and is therefore often confused. 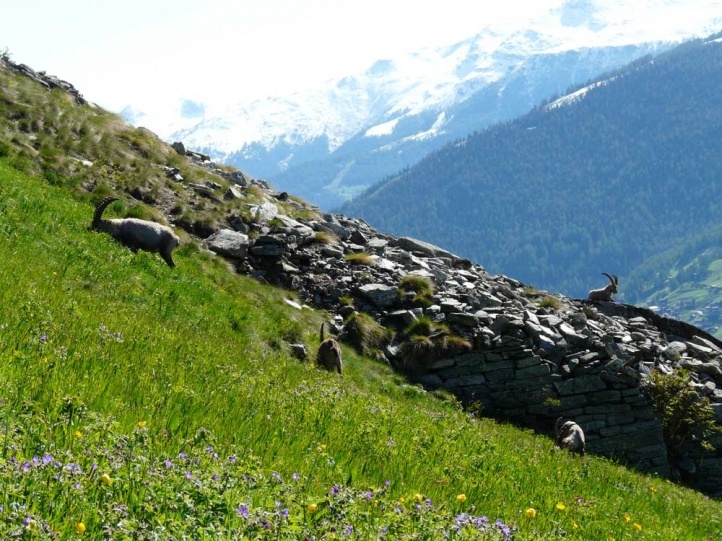 The distribution extends from N-Spain (rare and sporadic especially in the Pyrenees) and the United Kingdom across much of Europe and temperate Asia to China.